I’m purchasing an Xbox Live Indie Game every day, seeking out the quality titles that got lost in the shuffle and are not well represented in the top 50 lists on the Xbox Dashboard. Today is day #139, and today’s game is “Ninja360°”. One of the things that struck me about “Ophidian Wars: Opac’s Journey” was about how engaging it was as a platformer devoid of on-screen enemies. Ninja360° is another game in that vein, where the environments provide the challenge rather than a sea of cookie-cutter enemies. Ninja360° innovates in other ways as well, and it didn’t even take a full 8 minute trial for me to decide to purchase the game. Ninja360° has 99 levels, though most of them are quite short and lend themselves to speed runs for higher scores, which turns what might otherwise have been a detriment into a selling point. Most levels have curved sections that rotate the world 90°, and finding and using these is necessary for accessing every section of every level. You can interrupt your jumps by pushing down, in a technique that’s reminiscent of Tetris, and one that is necessary for shaving valuable seconds and split-seconds off your level run times. You can also shimmy down walls, or climb up them, both of which can rotate the world if the surface is curved. You have infinite lives, but your completion time will be poor if you die too many times on a level (and some levels, even one death will mean an unimpressive completion time). Some of the later levels require strong performances in the earlier levels to unlock them. With not only tutorials, but technique videos that help you get the most out of the concepts the tutorials pass on, and unlockable ghost runs where you get to watch a developer speed through a level. There’s a lot to love here, including some pretty amazing presentation (including the unusual option to replace some of the game’s textures with a picture of your avatar), making this an absolute must buy for platformer and puzzler fans. Only 80 Microsoft Points. 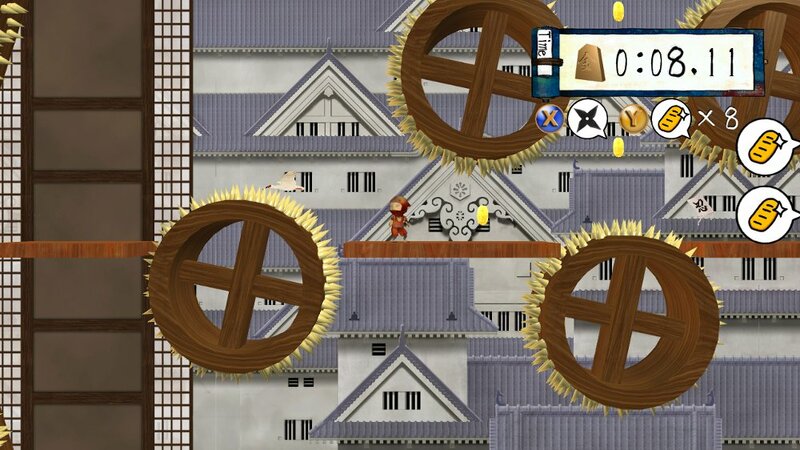 Click here to download “Ninja360°”, and then please come back to rate the game.